This one was really fun for me to put together. 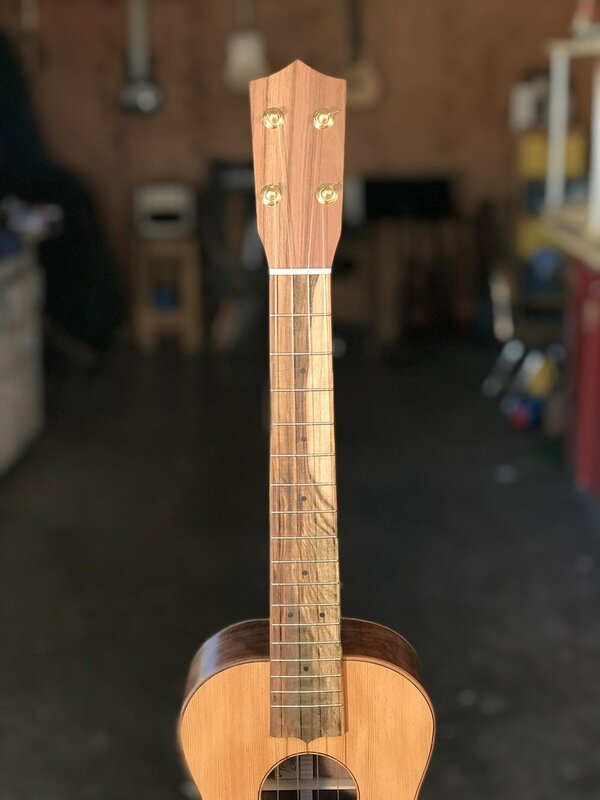 It made me think about the difference between art and craft, luthier and craftsman, folk art and fine art, perfection and practice, etc...It might not come through to the player who strums it, but it was on my mind when I made it and maybe some small part of these musings get shut in the case before Nicole mails it out. 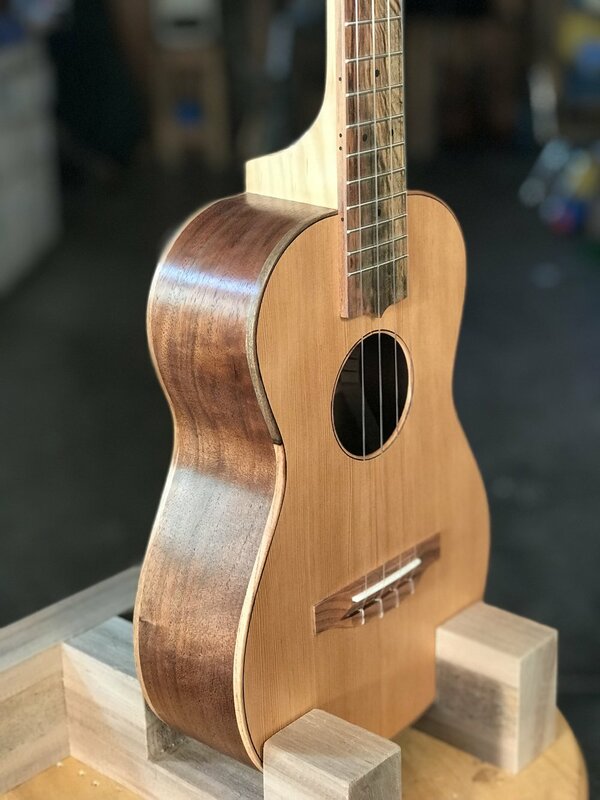 The top is old growth Douglas Fir that matches my new baritone uke below. The back and sides are Oregon walnut from Goby in Portland and the pistachio is from California orchards. The neck is some unique wide grain fir from my friend Cath from Vashon Island, WA. I bought my big bandsaw and jointer from her and she sent me back with a stash of Fir from the trees on her property. I love how the wide grain fir makes for a unique texture in the left hand due to the hardness differences between the hard and soft rings. It plays easy, sounds loud and true, is made from materials I believe in and looks unique and beautiful. Feeling lucky today.